Howard R. Hughes College of Engineering has raised $ 68,498 from 83 gifts! Support student innovation by giving to Senior Design. A capstone of every engineering student’s academic experience, the Fred & Harriet Cox Senior Design Competition encourages students to use everything they have learned in college to plan, design and build a real-world solution for an engineering challenge. Your donations will help students purchase supplies to build prototypes, and provide cash awards to help reimburse winners. UNLV faculty and students created a 3D-printed hand for four-year-old Hailey Dawson. Now eight, she’s throwing out the first pitch at every Major League Baseball field to bring awareness to her condition, Poland Syndrome, and the cost-effective solutions available. Thanks to generous donors, we’ve been able to help two additional children. When the community needed us, we answered. Help us continue helping more kids like Hailey. Unrestricted scholarships are given to deserving students in all in engineering majors. 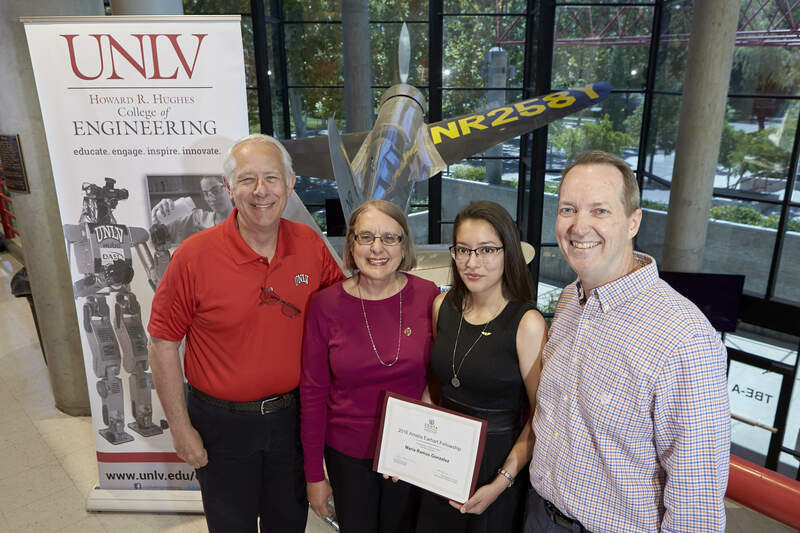 Your donation to our scholarship fund will enable Ph.D. students like Maria Ramos-Gonzales to continue her studies in mechanical engineering and impact the world! We’re busting at the seams - our current space can’t meet the needs of our growing student population and research efforts! We know our future economy will be STEM-based, and providing those learning opportunities to our students will not only afford them a future, but a future for Nevada as a robust, tech-based, diversified state. We must create the infrastructure to educate the engineers of tomorrow. 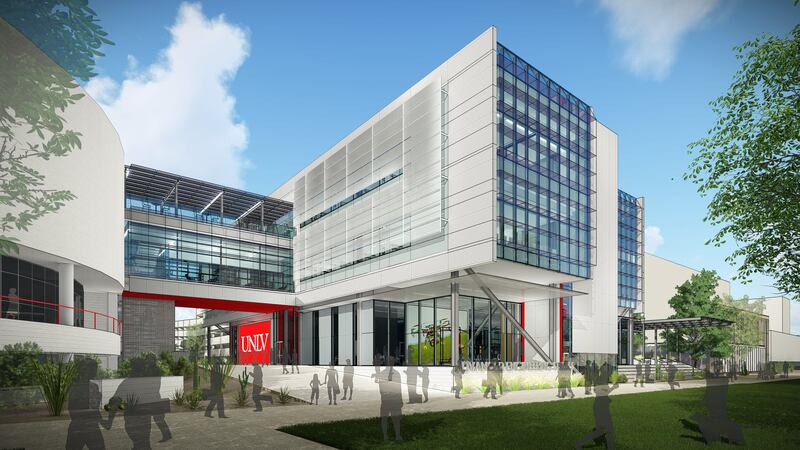 Investment in UNLV’s College of Engineering is an investment in our students and faculty, and in Nevada’s future. Is there a specific faculty project or event you would like to donate to? Baja, Solar Decathlon, environmental water research, etc... No problem, your contributions can be designated to departments or programs to support a variety of student and faculty projects. Select “other” and memo your intent, we will see it gets there. College of Engineering Alum, Michael Sadowtiz, will match, dollar-for-dollar up to $1,000 all gifts made to the College of Engineering Scholarships! 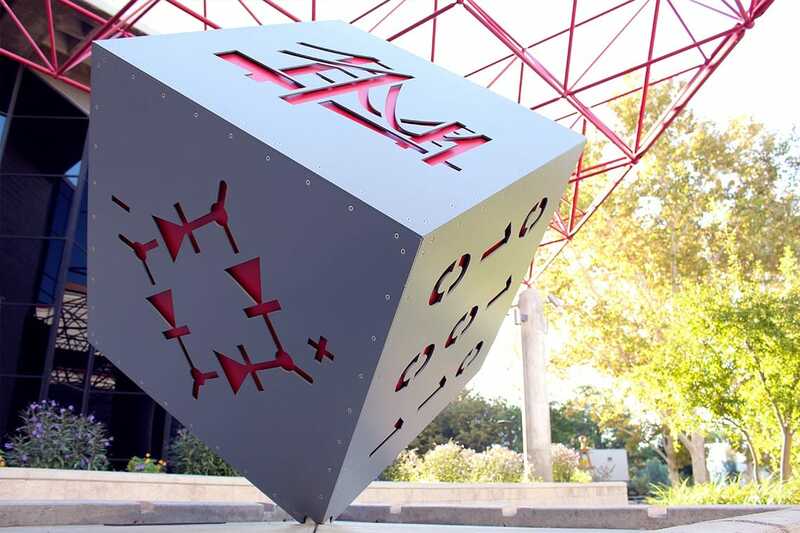 The Alambana Foundation has agreed to contribute a challenge gift of $5,160 to Alambana Foundation Scholarships once 20 gifts have been made to the College of Engineering! Once the College of Engineering has received their first 10 gifts, alumnus Chad Miller will contribute a challenge gift of $1,080 to the Senior Design Fund! Southland Industries will make a challenge gift of $5,000 once the Senior Design Fund in the College of Engineering has received an additional 10 gifts! Alumni Steve & Susan Philpott have agreed to provide a $5000 challenge gift to the Senior Design Fund once we earn 20 gifts!